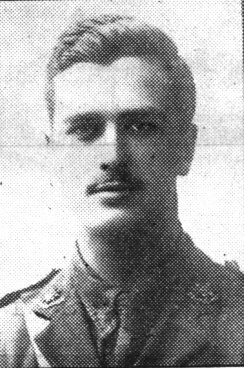 In November 1917, the Malvern News reported: “The funeral of Lieut Victor William Price of the Royal Flying Corps (only son of Mr W T Price of Valley House, Malvern) who was killed in an aeroplane accident at Littlebourne, near Rugby on November 8th, took place at Malvern on Tuesday, with military honours. “The deceased officer, who was aged 23, was educated at Lyttelton Grammar School, and was at one time a chorister of the Priory. Before he joined the Army he was in partnership with his father as a builder and had sole control of the business for the first 12 months of the War, while his father, with many years service to his credit, first in the Rifle Volunteers and afterwards in the [8th] Worcestershire Regiment was on duty away from home as Sergeant-Major of Musketry at Hayling Island. The deceased was for some time Assistant Scoutmaster of the 1st Malvern Troop and became a member of Malvern College Rifle Club when it was formed soon after the outbreak of War. He was gazetted Second Lieutenant to a Battalion of the Worcestershire Regiment in 1915,served in Salonika and Mesopotamia and was invalided home. In the present year he became an officer of the Royal Flying Corps. “The circumstances under which Lieut Price and a brother officer Second Lieut Norman Croager were killed as a result of an aeroplane nose-diving to earth soon after rising, were explained at an inquest had at Rugby on Monday. “Capt M Smith said that the machine which the two officers were flying was one used for instructional work and was not a type of machine now used in France. When he noticed the machine, it was about 200ft, and falling to earth in a slow spin. “It was stated that this was the third flight which Lieut Croager who was a fully qualified pilot had made that day. After the second flight, it was found that one of the sparking plugs was not acting and another was put in, but even if that had not operated it would not have endangered the two men as a pilot could land with the engine stopped. The aeroplane was tested, and it was found to be perfect. “Mr and Mrs E G Croager of Amersham Common, Bucks (parents of Second Lieutenant Croager) were journeying to spend a few days with their son on the day of the tragedy and were in the train when the accident occurred. They got to their son’s side just before he died. Both offices were terribly injured. “A verdict of ‘Accidental death’ was returned. “The body of Lieut Price was brought to Malvern, and remained at Valley House during the night. “On Tuesday afternoon a large congregation assembled at the Priory where the first part of the service was held, the officiating clergy being the Revd A Linzee Giles who said the opening prayers and the Revd C J Chesshire who read the lesson from the familiar chapter of Corinthians. Psalm 23 was sung by the full choir and the anthem was ‘Comes at times a stillness as of even’ (written by Dr Gregory Smith a former Vicar of Malvern). The hymn ‘Fight the good fight’ was given and the National Anthem and the Nunc Dimittis was sung before the removal of the coffin from the Church. Dr L A Hamand was at the organ. “The mourners included Mr W T Price (father), Mrs D B Bellamy (sister), Lieut A V Bellamy, Worcestershire Regiment (brother-in-law), Mrs Robert Crews (aunt), Miss Winifred Jacombs (aunt), Mr and Mrs J Meredith (uncle and aunt), Mrs Leeke (aunt), the Misses Leeke (cousins), Mrs Cooke and Miss Cooke of Birmingham (cousins), Mrs Jacques, Thornton Manor, Stratford on Avon. Lieut Trim RFC represented the officers of the Squadron to which the late Lieut Price belonged. “The coffin was covered with the Union Jack and men of the Worcestershire Regiment from Norton Barracks were the bearers. A firing party drawn from the local Platoons of the Volunteer Regiment attended under Lieut W Osbourne Thorp. With arms reversed they headed the cortège, which, on leaving the Priory made its way to the Cemetery. Three volleys were fired over the grave and a bugler sounded the ‘Last Post’. “Wreaths included those from Mrs Cokart from the George Hotel in Rugby. In August 1914, while Victor Price’s father was at camp with the 8th Worcesters his wife was taken seriously ill. Mrs Beatrice Price died on 5th August in the Women’s Hospital, Sparkbrook. He was at the Rhydd his section of the C Company carrying out orders from Headquarters – following the break-up of the Minehead Camp – that training was to be continued locally, when he was called to his wife’s death bed. The funeral took place at Malvern Cemetery the 9th August.